The leaf-shaped danglers and turquoise blue stones stand out in this necklace cast in silver metal. The Lacy Necklace Set also consists of matching drop earrings. 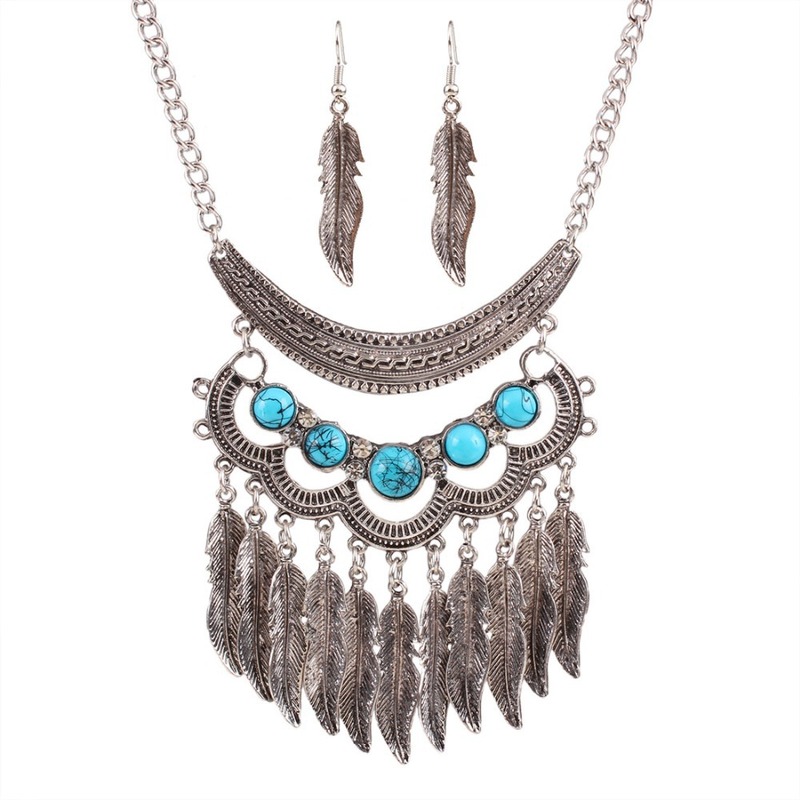 Add this boho necklace set to your cart along with other fashion accessories to qualify for a free bonus bling gift.